Our little beach town has more restaurants per capita than San Francisco, but with so many options to choose from it’s handy to have the inside dish on the best places to eat in Myrtle Beach. 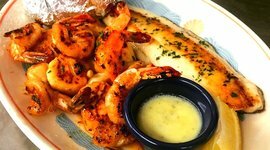 In addition to coastal southern classics and authentic Callabash seafood, the Grand Strand area offers ethnic cuisine where diners can find phenomenal food for reasonable prices. 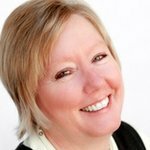 Below are some of my favorite places where we locals like eat. Angelo’s is one of the busiest Italian restaurants in the Myrtle Beach area because the service is friendly, and between the Italian buffet and the dinner menu, the choices please all ages and tastes. 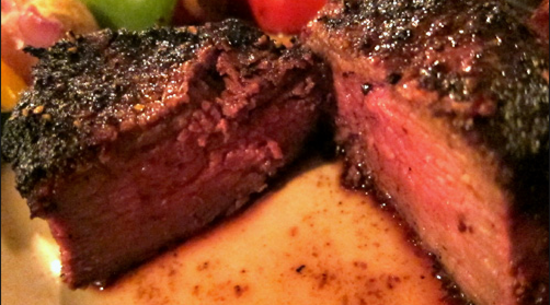 This is a great place to eat in Myrtle Beach if you’re craving juicy steaks served on sizzle platters. Locals hungry for something different flock to ART. Sushi choices range from traditional (California Roll, sashimi, nigiri) to the unique sushi ‘rolls of the day.’ They serve exceedingly fresh seafood and meats, and only use humanely raised organic beef in their gourmet burgers. 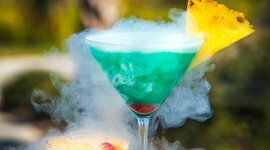 Some cocktails even come with a delightful icy hit of liquid nitrogen. 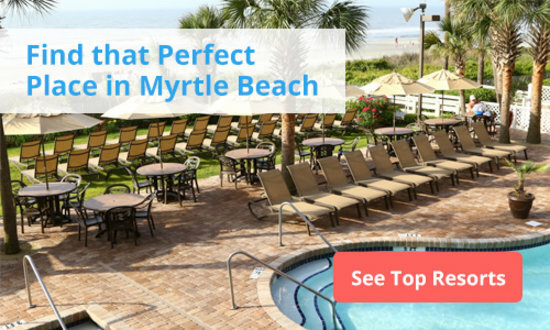 Not only is this a great place to eat in Myrtle Beach but it’s also an exceptional option for those who want to enjoy the ocean view while taking in the local art scene. Operating partner and executive chef Adam Kirby grows, catches, and gathers a lot of the fresh local foods served at Bistro 217, and then invents tasty new ways to serve them. 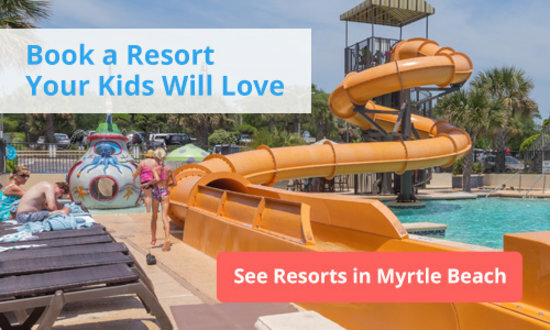 Myrtle Beach residents often make the drive to Pawleys Island for freshly baked breads and crackers, smooth pimento cheese, masterpiece salads topped with local fish fillets, fried green tomatoes and oysters (with bacon-cream sauce) and fresh ice cream. Locals pack the new, roomier location of Café Old Vienna to enjoy Wiener Schnitzel, Almond Pork Schnitzel, Bavarian Bratwurst, Viennese Gulasch and other old-world specialties. Round it out with a side of red cabbage, a German draft beer and a crepe for dessert. A photo-worthy view of the inlet, action on the Marshwalk (think boardwalk without ocean waves) and frequent live music make the Dead Dog Saloon a happening place to eat in Myrtle Beach. But it’s the casual, yet excellent menu that keeps locals coming back. For breakfast try Shrimp and Grits or Lobster Home Fries; at lunch or dinner Boo-Boo’s Tender (beef) Bites or Chipotle Shrimp Tacos are deliciously memorable. 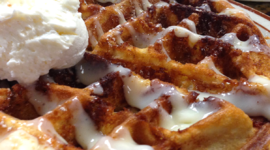 Savor breakfast, brunch, and lunch treats such as scrumptious Cinnamon Roll Waffles with a drizzle of cream cheese frosting. It's one of the best places for breakfast in Myrtle Beach. 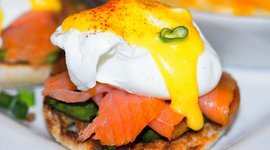 Their Eggs Benedict comes in many variations, from Florentine to Pork Belly to Chipotle Bacon; the Shrimp Salad is legendary; and you never know what new omelet they’ll dream up next, like Mushrooms and Sun-Dried Tomato with feta and tzatziki. Be sure to save room for mini cheesecakes and mimosas. Feel free to treat Kudzu Bakery as an extension of your pantry, because that’s what locals do when they make frequent visits for freshly baked breads, big soft cookies, and luscious cakes and pies. They also have classic southern dishes in the cold cases, like tomato pie, par-baked cheese biscuits, and crab dip; plus wines and condiments. If you're big on sweets, Kudzu is one of many places you should try. 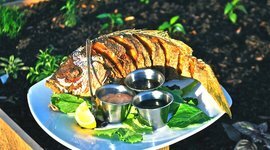 Do you like your seafood fried, broiled, grilled, or blackened? 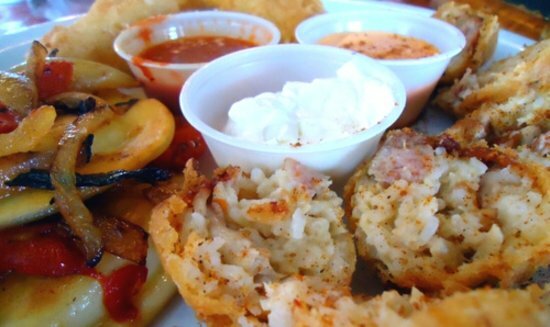 Add some hushpuppies, hand-made onion rings, and slaw, and you’ve got a classic Lowcountry meal that’s been served at Lee’s Inlet Kitchen since 1948. The retro building has an interesting history. It started life as a gas station, and then was a bordello until Eford Lee rescued it at a tax sale. Now run by the family’s third generation, it’s become one of the best local places to eat in Murrells Inlet. This tiny restaurant is tucked away, off Robert M. Grissom Parkway just south of 38th Avenue North. If you can find it, you’ll be treated to delectable, gourmet Asian dishes. 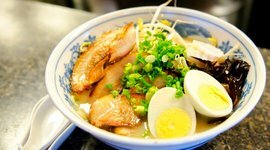 Get your chopsticks ready for sautéed Gyoza, tea-smoked Asian Barbecue Ribs, Agedashi Tofu, Bento Boxes, and Kyushu Tonkotsu Ramen. It doesn’t get more local than Socastee Station, which is a little south of the airport. For decades it’s been the go-to local restaurant for a home-cooked meal and a cold drink, and recently it went smoke-free. The meatloaf and pot roast are excellent, the Friday night all-you-care-to-eat fish fry is a fantastic deal, Shrimp and Grits are creamy, and the wings are renowned. 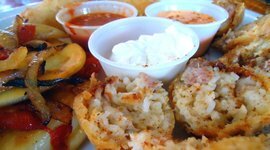 A specialty is Bog Balls, which are fried morsels made from a traditional chicken/sausage/rice dish called Chicken Bog. The allure of steak and Italian food all in one place makes this Myrtle Beach restaurant a local favorite. Service is friendly and the vibe is great for families. It's one of the world's only restaurants specializing in both sushi and burgers. They also serve fancy cocktails finished with liquid nitrogen that take it to the next level. Rockstar chef, Adam Kirby grows the veggies and catches a lot of the fish himself. His fried green tomatoes and oysters with bacon-cream sauce are soul satisfying. 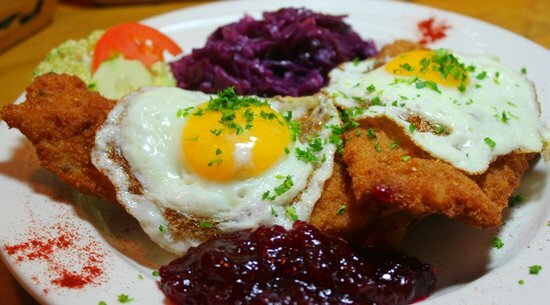 This local favorite serves hearty Bavarian Bratwurst to soak up those pints of German beer. Live music plays over views of the Inlet. 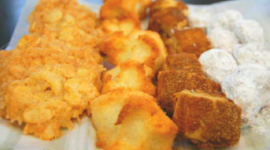 Come for a breakfast of Lobster Home Fries and dinner with Boo-Boo's Tender (beef) Bites. 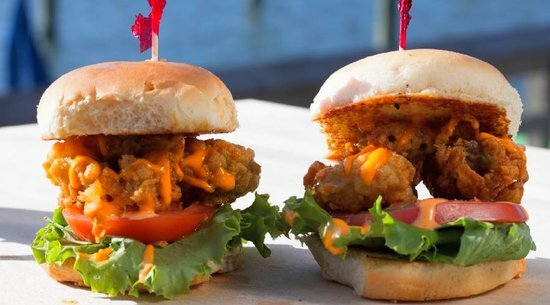 Enjoy a classic Lowcountry meal with homemade hushpuppies, hand-made onion rings, and just-caught seafood. This is where you get Bog Balls – fried morsels made from a chicken/sausage/rice dish called Chicken Bog, the Grand Strand's most traditional specialty.